U.S. Sen. Mark Warner (D-VA) comments after President Trump signed the Ashanti Alert Act— legislation that will create a new federal alert system for missing or endangered adults between the ages of 18-64—into law. The Ashanti Alert Act is named after Ashanti Billie, the 19-year-old who was abducted in Norfolk, Va. on September 18, 2017. Her body was discovered in North Carolina 11 days after she was first reported missing. At the time of Ashanti’s abduction, she was too old for an Amber Alert and too young for a Silver Alert. The Ashanti Alert, like the other alert systems, would notify the public about missing or endangered adults, ages 18-64, through a national communications network to assist law enforcement in the search. In June, Gov. Northam signed into law legislation introduced by Del. Jay Jones creating a statewide Ashanti Alert system in Virginia. In September, the House of Representatives unanimously passed its version of the Ashanti Alert Act, which was introduced by outgoing Congressman Scott Taylor. 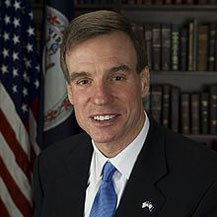 After the House bill—in its original form—was blocked from passing in the Senate, Sen. Warner worked with his colleagues to make modifications to the bill to allow for its eventual passage by unanimous consent in that chamber. In December, the House of Representatives passed the modified Ashanti Alert Act, sending it to the President’s desk for signature.